Bosnia and Herzegovina‘s (BiH) capital Sarajevo is breathtaking. The city sits in a valley surrounded by mountains, most notably Mount Trebević which is home to the abandoned 1984 Winter Olympics bobsled track. This creepily cool bombed out structure is partly what makes Sarajevo unique. 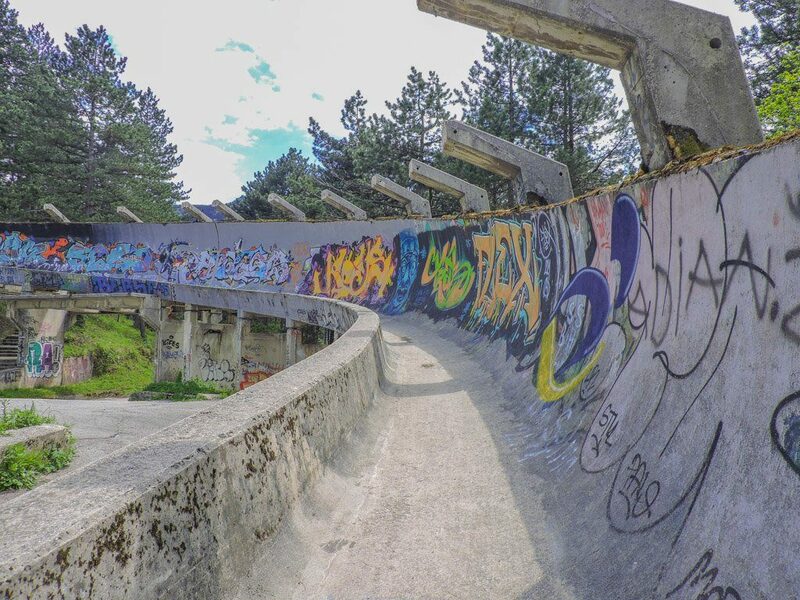 Unfortunately, the unused bobsled track was not the only thing attacked during the ’92-95 Siege of Sarajevo, 400, 000 inhabitants were affected. This war is definitely still visible in Sarajevo; bullet holes on the buildings at Sniper Alley, red splats called the Sarajevo Roses on the ground identifies where people lost their lives to a shell, and the two must – see museums: The Tunnel of Hope and Srebrenica Gallery 11/07/95 document what life was like during the war. Sarajevo is also home to the Latin Bridge, the scene which kicked off World War I. Regardless of these aspects of Sarajevo’s past, our visit was a happy one. 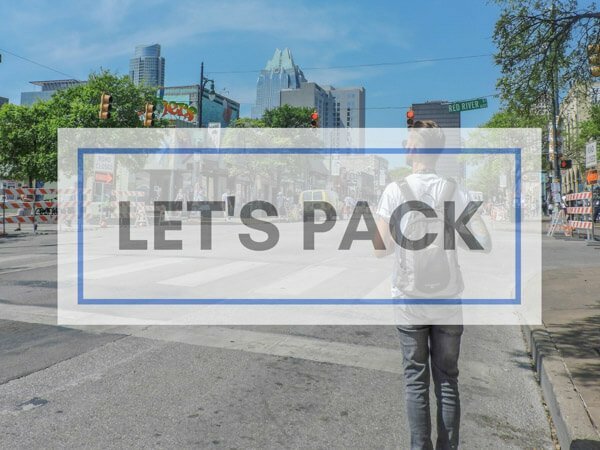 We even extended our stay from three to five days to pack lots in. 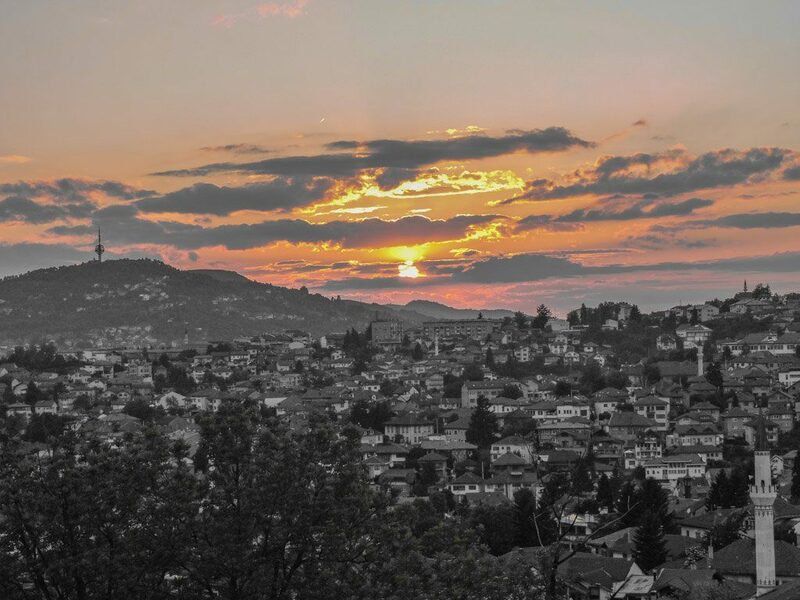 Find out more about the conflict, those sunsets, and our tips on the best place (out of three) to see the best views of Sarajevo in our Sarajevo travel guide. 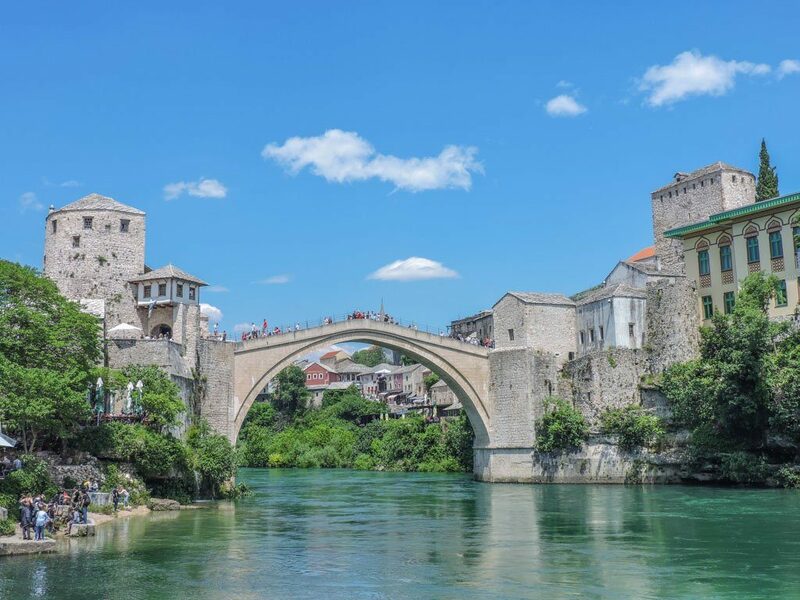 For those who love architecture and stunning scenery, a trip to Mostar is a must. The Stari Most, Mostar’s Old Bridge, is extremely photogenic and a diving board for local (and visiting) daredevils. In summer, visitors can watch men dive from the top of the bridge into the Neretva River! This is a very popular Bosnian town so be mindful of the bus loads of tour groups that take over from mid-morning. Moving away from the trinkets and cobbled streets of the Old Town you’ll witness the scars of the 90s war on the buildings, which have not been replaced as efficiently as the bridge itself which was also a casualty of conflict. For more reasons to visit, check out our article on Mostar. Coming from Croatia? 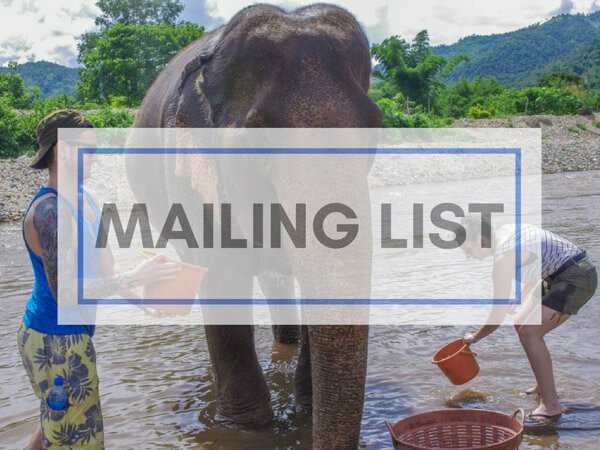 Check out this Dubrovnik to Mostar day trip too. HOW MUCH DOES BiH COST? For an average daily breakdown for Bosnia and Herzegovina see this useful post. 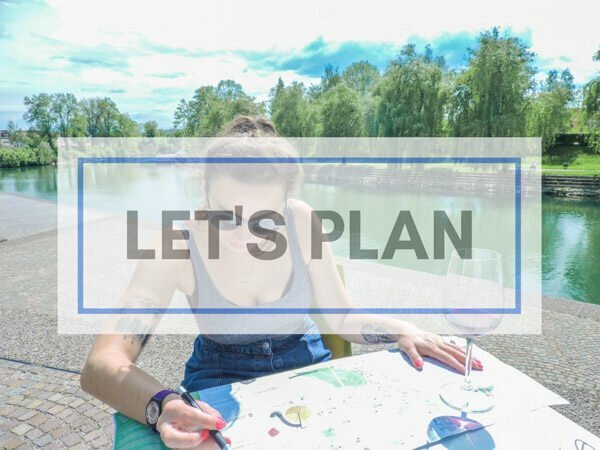 Check out this backpacking in Europe budget article for the price of accommodation, food, transport, socialising, and trips in Europe. Bosnia and Herzegovina, Convertible Marka is the currency used in BiH. For the best rates, check out this link. ATMs are widely available in Sarajevo. Credit cards are mostly accepted. Tipping in Bosnia and Herzegovina is not essential but appreciated. An introduction to the beauty of BiH, Romania, and Serbia. 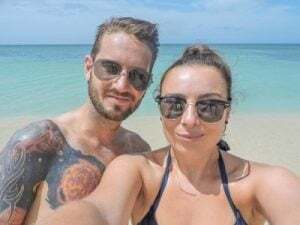 How we saved for £20K to travel the Americas and Europe for 17 months. 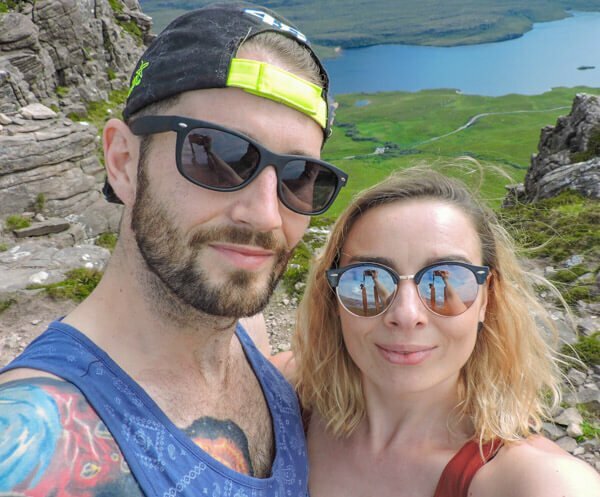 What we spent that £20K on + how to plan long term travel.